The kit comes with 8 .png images and 1 image in .abr format. You can recolor, resize, print on paper for your hybrid projects, and so much more. 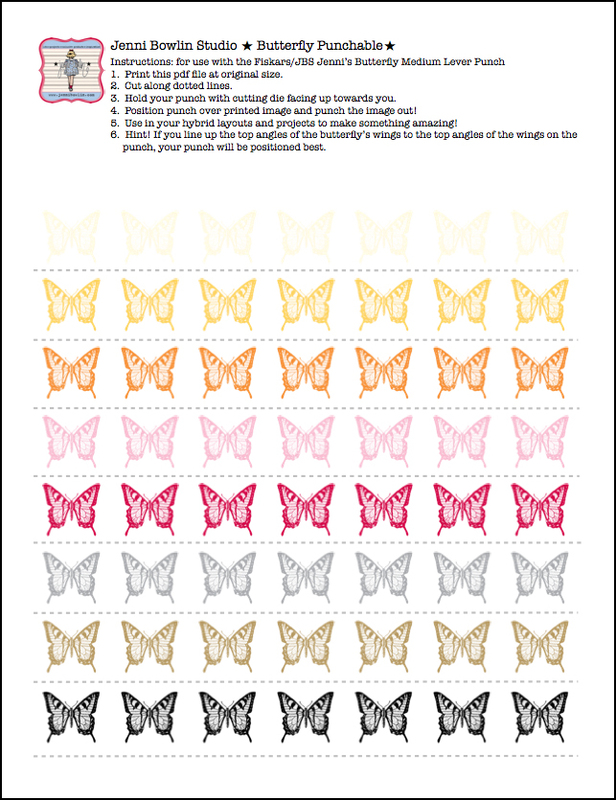 A "Punchable PDF" comes in the kit where hybrid scrappers can use their Fiskars/JBS Classic Butterfly Shape punch to punch these babies out! Creative Team member Nirupama Kumar used the kit to digitally add the butterfly digitally to a photo of her daughter and clustered the photo on layers of digital papers. 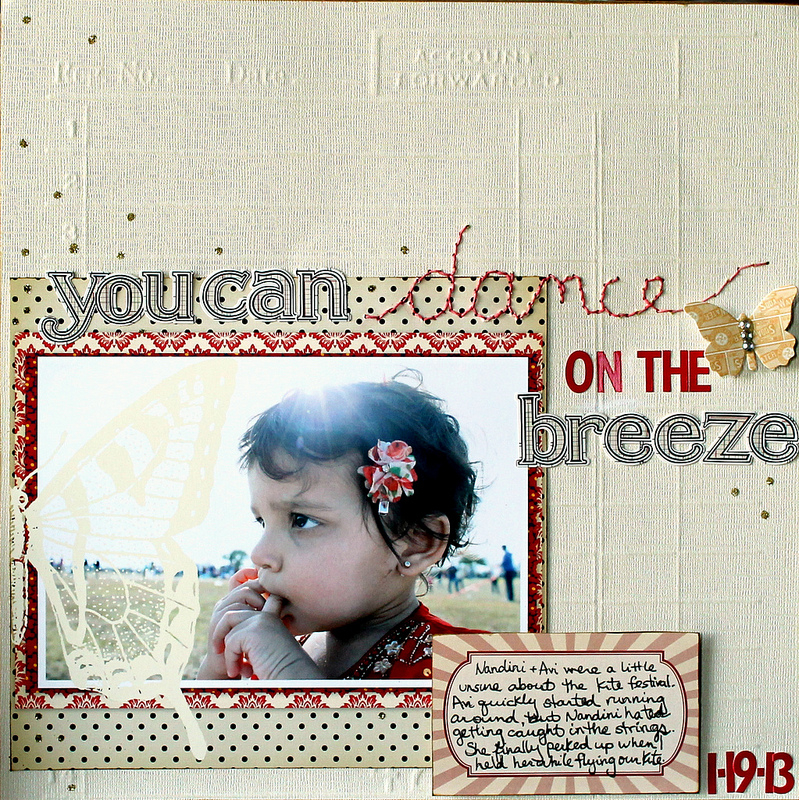 She then created this beautiful hybrid layout using traditional JBS product. Isn't that title wonderful? The title is a line from Mary Poppins, I thought it fitting since we were at a kite festival. 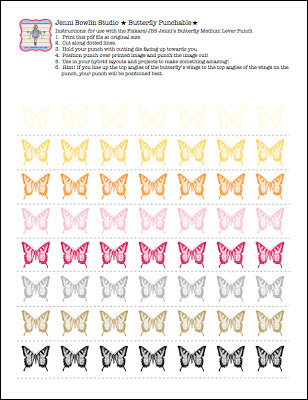 I have always loved the JBS butterfly rubons and stamp. It is one of those iconic Jenni designs that just makes a project special. Love the ease of adding a rub on digitally and making it extra large! I scattered a few dots of gold glitter around the page to add to the whimsy of the page. 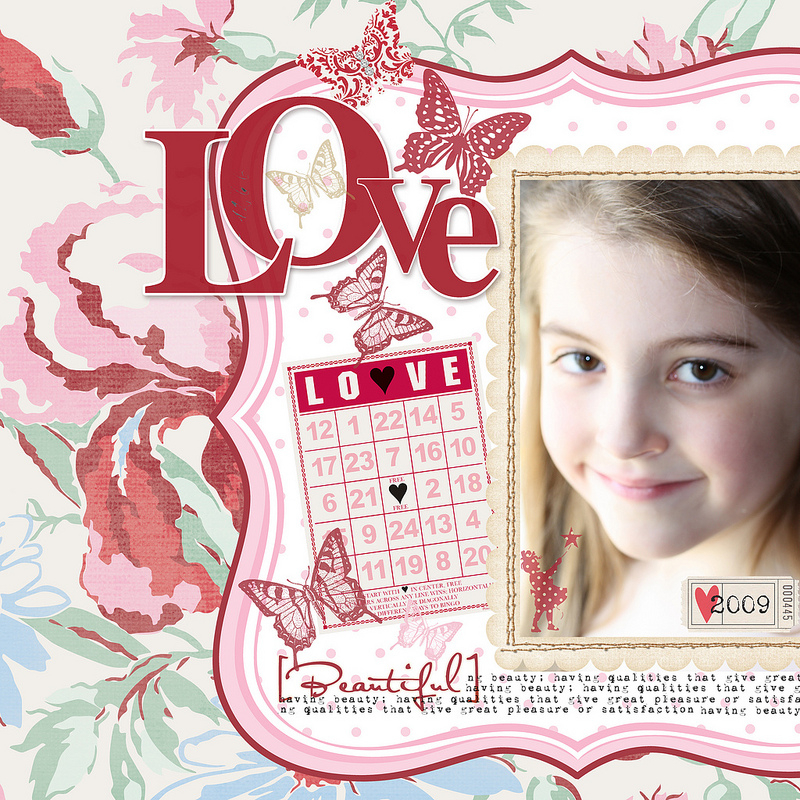 Chrissy Guido created this sweet layout using the kit and other JBS butterfly images and digital product. This layout has me inspired for Valentine's Day! Stop by our Digi Shoppe today! This kit will be 50% off through Wednesday!